We have a large amount of Royal Ascot Player Terminals available. The terminals are currently not working and are only suitable for parts or projects only. We are clearing space in our warehouse and are offering them to our customers free of charge. The terminals were originally part of a complete Royal Ascot machine which we have since disassembled. 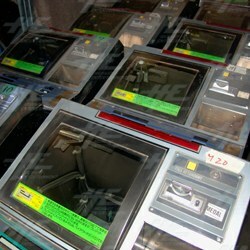 All terminals are missing their monitor and coin mech, and are in used as-is condition. If you are interested please contact us or visit the Royal Ascot Player Terminal product page. Price is free of charge - just pay freight - or local pickup is also available from our Newcastle warehouse.